Get the latest news from RT in Sochi, including breaking news, sport, weather and travel. It is a Russian city in Krasnodar Region on the Black Sea and near the Caucasus Mountains. Find the cultural and history news and stories on RT.com. It is the biggest Russian resort city, combining skiing and beach activities. Follow RT for the news and reports about the top events taking place in Sochi. The 2014 Winter Olympics were held in Sochi. Read the articles and news about those winter Olympic Games. 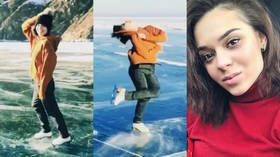 After the Olympics Sochi is holding a number of different events starting from a youth forum, which was attended by Putin, to various sport events like Sochi Formula 1 Race. Get the news and articles on most of the events taking place in Sochi. Moreover, Sochi will host the 2018 Russia FIFA World Cup. Fisht Stadium will serve as a venue for the 2018 World Cup. Six matches will be held there, including games between Portugal and Spain; Belgium – Panama; Germany – Sweden; Australia – Peru. Follow RT to get the latest news and updates on the FIFA World Cup 2018 and all the matches hosted in Sochi. 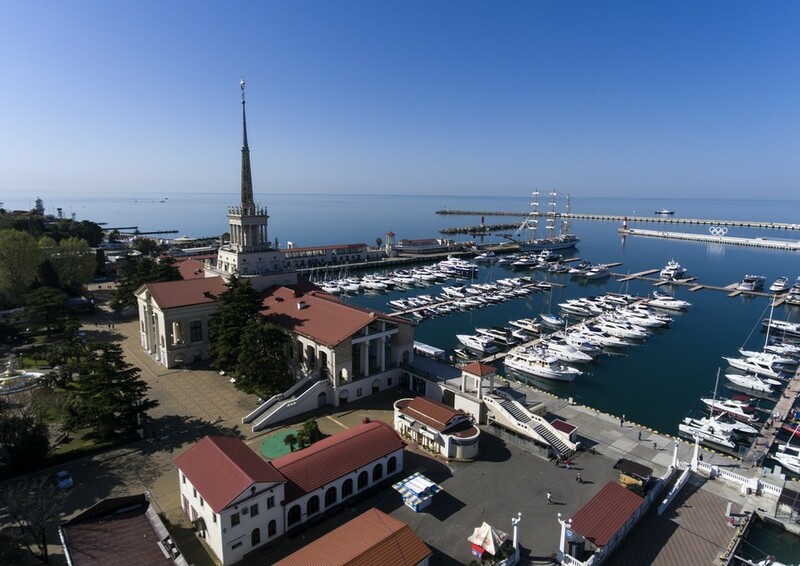 Moreover, Bocharov Ruchey, which is the summer residence of the President of Russia is located in Sochi. From time to time Putin holds meetings and events there. Find the news and reports about activities happening there. Don’t forget to check out authors’ opinions on the news and current events taking place in Sochi. 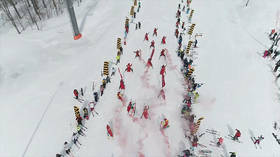 Hundreds of costumed skiers and snowboarders hit the slopes of Sochi, Russia for the inaugural ‘carnival ride’ of this year’s famous BoogelWoogel festival. 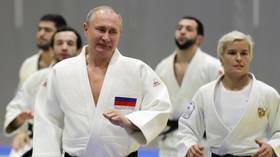 Russian president and judo supremo Vladimir Putin picked up an unfortunate finger injury while sharpening his skills in Sochi with Russia's judo team on Thursday, while in the South Russian resort town following talks on Syria. 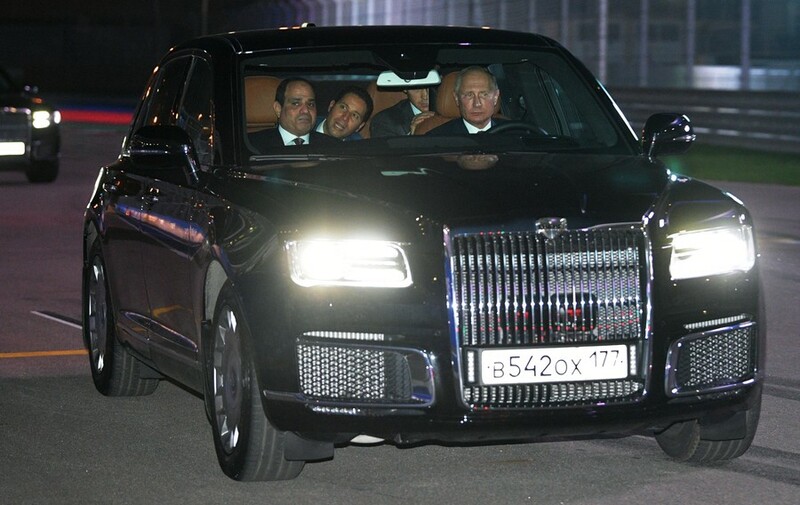 Russia’s Vladimir Putin got behind the steering wheel to show Egypt’s Abdel Fatah el-Sisi what the Formula 1 circuit in Sochi looks like, picking an Aurus sedan from his motorcade for the job. Economic ties between Russia and Egypt are developing successfully, according to President Vladimir Putin. He met with his Egyptian counterpart Abdel Fatah el-Sisi in Sochi on Wednesday.